Under recent changes to military pension plan rules, you can leave your pension to a special needs trust for the benefit of a child with special needs. 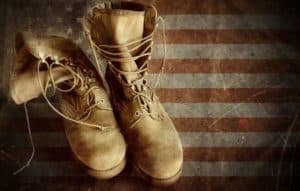 Military members may choose the Survivor Benefit Plan (SBP) option, as part of their retirement pay options. SBPs essentially act as insurance plans that make monthly payments to military members’ surviving spouses and children after the military members’ deaths. They help compensate for loss of retirement income or loss of income if a service member dies while on active duty. In 2015, Congress passed the National Defense Authorization Act of 2015, which included legislation originally called the Military Child Protection Act (MCPA). The MCPA and a subsequent Department of Defense memorandum permit service members to name a special needs trust (SNT) as a beneficiary of their SBPs. Instead of naming the child with special needs, the service member names the SNT instead. This change in law helps prevent children with special needs from losing eligibility for government benefits when they start receiving payments from the SBP. To elect an SNT as beneficiary, service members should submit a written statement indicating that future SBP annuity payments should be made to the SNT instead of being made directly to the child with special needs. To include all of the specific information required by the Department of Defense, you should draft a separate statement to attach to DD Form 2656. The statement must contain the SNT’s name, its tax identification number, and a statement from a licensed attorney indicating that the SNT satisfies federal and state requirements for a self-settled special needs trust. Importantly, the military member must have previously elected spouse and child or child-only coverage for the SBP; otherwise, he or she will need to change the election first. The SNT used to receive the SBP payments must be irrevocable. However, the Department of Defense has not clarified whether its position on irrevocability is similar to the Social Security Administration’s flexible position. As a result, using a stand-alone SNT with no other contributions is best. If a service member or retiree passes away without changing the SBP designation to substitute an SNT as a beneficiary, the Department of Defense permits a surviving parent, grandparent or court appointed legal guardian to make the designation instead.